Rachel Geis, born and raised in Hermosa Beach, California, knew she loved theater ever since the first time she went onstage dressed as Annie’s dog, Sandy. Favorite performing credits include Beauty and the Beast (Belle), Honk! (Ida), The Odd Couple (Cecily), La casa de Bernarda Alba (Adela), Into the Woods (Rapunzle), and Little Women (Jo). 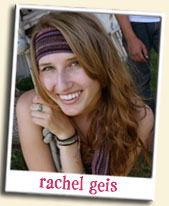 Rachel studied vocal performance at Biola University Conservatory of Music with Dr. Susannah Murray and Vangie Gunn. Choreography credits include South Pacific, Music Man, Fiddler on the Roof, Beauty and the Beast, and Thoroughly Modern Millie. Kelsea Maynard is so honored and excited to be joining the Haven Academy family. Born and raised in Southern California she spent most of her school years performing on the stage. 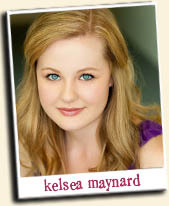 As a very shy child, young Kelsea hid behind the older kids in her very first musical “The Sound of Music”. As the years progressed, theatre provided a place for her to grow, gain confidence, and develop her performing skills. She went on to play many leading roles such as: Dorothy in The Wizard of Oz, Cinderella in Cinderella, Cosette in Les Misérables, Audrey in Little Shop of Horrors, Rapunzel in Into The Woods, Wendy in Peter Pan, Sandy in Grease, and to bring it full circle Leisl in The Sound of Music. She also went on to attend Orange County High School of the Arts and The Young Americans College of the Performing Arts. Most recently she toured Europe and Japan with The Young Americans performing and teaching children self confidence using the universal language of music and dance throughout many different cultures. Kelsea has a huge passion for working with children and is thrilled to be able to bring her knowledge and experience to Haven. Claire Griswold is a proud alumni of Haven Academy and couldn't be more thrilled to be involved with the program again, and this time in the office! She's been working consistently in theater since the age of fourteen, and can't think of anything else she'd rather spend the rest of her life doing. Favorite past roles include Nellie (South Pacific), The Witch (Into the Woods), The Stage Manager (Our Town), and Heather (American Idiot). She is also a very proud company member of The Collaboratory, a performing arts school assembly program dedicated to teaching kids of all ages to embrace, accept, and stand up for themselves and others. Claire is currently finishing her degree in Theater at El Camino College, and is truly honored to bring her passion for education and performance to one of the best programs she's ever worked with. When not studying or performing, you can usually find her curled up with a cup of tea, a good book, and her two cats. Erin Fields is so excited to be a part of the Haven Academy of the Arts team! Erin was born and raised in Colorado and has since lived in Niceville, FL and now Southern California. She studied Human Development and Family Studies and loves working with students and watching them grow and succeed. When Erin isn’t working, she is taking care of her daughter Nora, going on an adventure with her husband, daughter, and dog, teaching yoga, or grabbing a coffee with a friend. 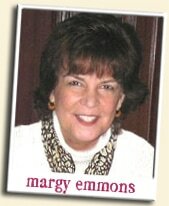 Margy Emmons is the Director of Worship at OCF. Her Bachelor's degree was in Piano Performance with a voice minor and she earned her Master's degree in Accompanying at USC. Ever since the 7th Grade, Margy has been an accompanist for soloists and ensembles, performing a full range of vocal and instrumental styles from rock to Broadway to classical to opera to musical theatre. During college she added vocal coaching, composing and arranging while traveling to various countries with touring groups. At OCF, and with Haven Academy, Margy has found that all this experience has paid off in truly rewarding ways. Gianna Andrea Summers director and performer, graduated with Honors from Arizona State University in Choral Education and Voice Performance in 2003 and graduated with Honors with her Masters in 2005 in Multicultural Education from National University. She has taught choral music in El Segundo for the last 12 years with her choir receiving many awards. They have performed at many venues across America and Europe. Gianna spent time in Costa Rica singing with the Costa Rican Opera and teaching music. Gianna teaches private voice and piano as well as singing professionally in California. Gianna married the love of her life, Bobby Summers, in 2008, their daughter, Kate is 6 years old and loves HAVEN and softball! The Summers have attended OCF for 12 years and love our community. They currently reside in El Segundo, CA with their two dogs Griffey and Daisy. Matthew Kellaway received his M.M. in Choral Conducting for California State University Fullerton. He is the Director of Men’s Chorus at Biola University where he has also provided individual voice instruction, taught conducting classes and served as assistant director for the Biola Conservatory of Music opera program. Matthew has studied conducting with Robert Istad, Christopher Peterson, John Tebay, Shawna Stewart, and has worked with John Alexander, David Hayes, and Lucinda Carver. Matthew Kellaway is also an established professional baritone vocal performer in the Southern California area currently singing with the Pacific Chorale. Matthew has performed as a featured soloist in Germany, the Czech Republic, Austria, and Italy in conjunction with international choral and solo vocal competitions, and he continues to be a featured soloist with the Pacific Chorale and Pacific Symphony at Segerstrom Center for the Performing Arts. He has also sung with many other prestigious vocal ensembles including Disney’s Voices of Liberty, The John Alexander Singers, and the Los Angeles Master Chorale. As a baritone known for his versatility of style, Matthew has sung many operatic and musical theater roles including Count Almaviva in Le Nozze di Figaro, Marquis de la Force in Dialogues des Carmélites, Betto in Gianni Schicchi, Rapunzel’s Prince in Into the Woods, Friedrich Bhaer in Little Women, Captain Corcoran in HMS Pinafore and Germont in La Traviata. Ashley Krouse started dancing with the DanceMotion competitive performing company when she was 2 years old. She continued with that company for 12 years while also continuing to dance with Ballet Arizona, West Coast Dance Explosion, Tremaine, Dupree, Millennium studios, The Edge Studios, as well as others, through her early 20’s. Through her school years, Ashley was also a part of Step on Stage show choir as well as 4 years in the 1st chair alto position in the Arizona All State show choir. For Ashley, it is a privilege to be able to help grow young performers, and loves being a part of the Haven Academy Family. Emily Barish was born and raised in West Los Angeles. Born into a musical family, some of her earliest memories are of singing and performing (and putting on big backyard productions with her friends and siblings). As the years passed, Emily continued studying voice, visual, and performing arts, however she always had a heart for kids and knew she wanted to teach. Her eureka moment came while watching Rebekah Kellaway direct a scene during 42nd Street, and she saw musical theatre direction and education come together seamlessly to create truly beautiful art. As a former Haven student herself, not only has she has experienced firsthand the life-changing impact of this program, she has also witnessed countless other lives of former and current students (including her two younger siblings!) positively impacted by the community, acceptance and sense of purpose Haven provides. Emily has been working for Haven since January 2018 (dreams do come true!) and could not be more grateful to the Lord for the privilege of being a part of this wonderful program where she can combine her love of the arts, passion for education and commitment to seeing the incredible children of Los Angeles thrive. When she’s not working, she can be found drinking coffee, cooking and/or snacking with her fantastic family and friends, and always, always singing (probably a show tune). Courtney Cash has been around Haven Academy since its birth.She is no stranger to the stage, singing in church and school choirs as well as performing in many plays and musicals throughout her life. Her Liberal Studies degree from Long Beach State includes a Concentration in Visual and Performing Arts, which she gets to put into practice with her Pretend and Play class. 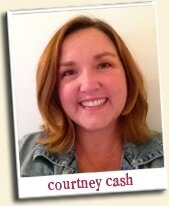 Courtney has participated with Haven onstage and as a parent, with her own kids being involved in many of its programs. She has watched her children grow in many ways, with Haven gently pushing and stretching them to be better people as well as performers. She’s confidant you’ll feel good about getting involved in Haven Academy of the Arts. Carly Linehan is proud to be one of the original Haven students- an experience that fueled her passion for the arts and inspired her to obtain a degree in Theatre Studies from UC Santa Barbara. Since then, Carly has been directing and teaching for local youth theatre programs while performing in the local theatre scene herself. Carly is extremely passionate about using the arts to help students gain the life skills necessary to become successful and extraordinary adults. In addition to working as a staff member, Carly volunteers her time to organize fundraising and donor events for Haven, as she truly believes that this a program that changes students' lives for the better.